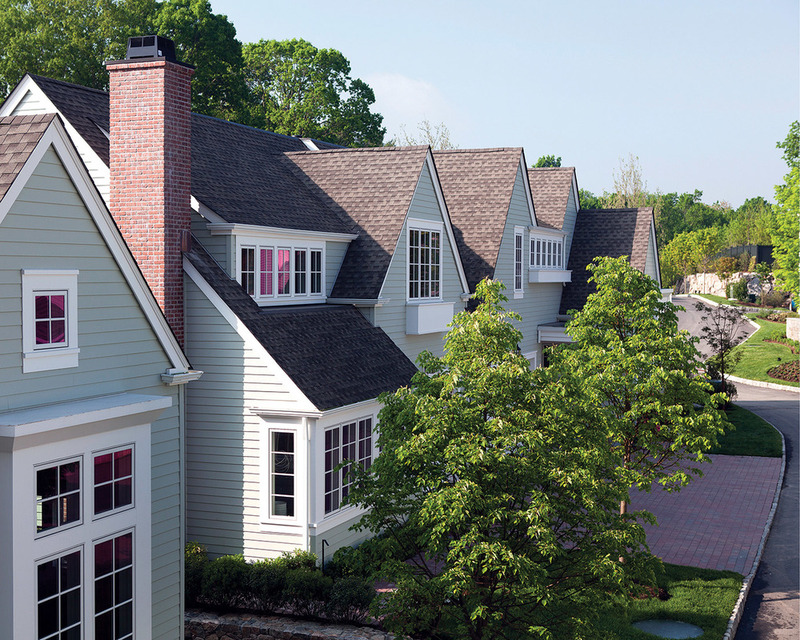 The best community design reflects buyers’ desire for connection. Once a site is acquired, the hard work of designing the community begins. As much art as science, good community design seeks to craft the most successful and profitable use of the available space while meeting its infrastructure requirements. The art comes from creating an environment that speaks to the target buyers. In a well-designed neighborhood, buyers can’t quite put their finger on it, but something about the place just feels right to them. We looked at four communities that have taken design to award-winning levels and paid off in strong sales and satisfied homebuyers. It’s tough to find sufficient acreage in the densely populated Northeast to build a neighborhood; sometimes you have to take what’s available and make it work. Sun Homes partners Bob Dale and Bill McGuinness found a diamond in the rough with Kensett, a 16-acre site in Darien, Conn., a highly desirable address for New York commuters, where no large housing development had been built in a generation. Kensett won gold awards at The Nationals for clubhouse design and attached home plan, and silver for Neighborhood of the Year and landscape design.